Getting another round of snow here in Indiana right now. Way too much for me but my wife loves it. When these storms happen it seems the cardinals go into a panic mode. I wish I could invite them all inside to stay warm… but then there would be the bird dropping and my cat would probably have a heart attack. It was down to zero degrees last night here in Indiana. I sometimes wonder how all my feathered friends cope with these conditions. The picture below is one that shows one way they cope. They get all puffed up to maintain body heat. One of the things that gets me through winter months is taking pictures of my feathered friends. 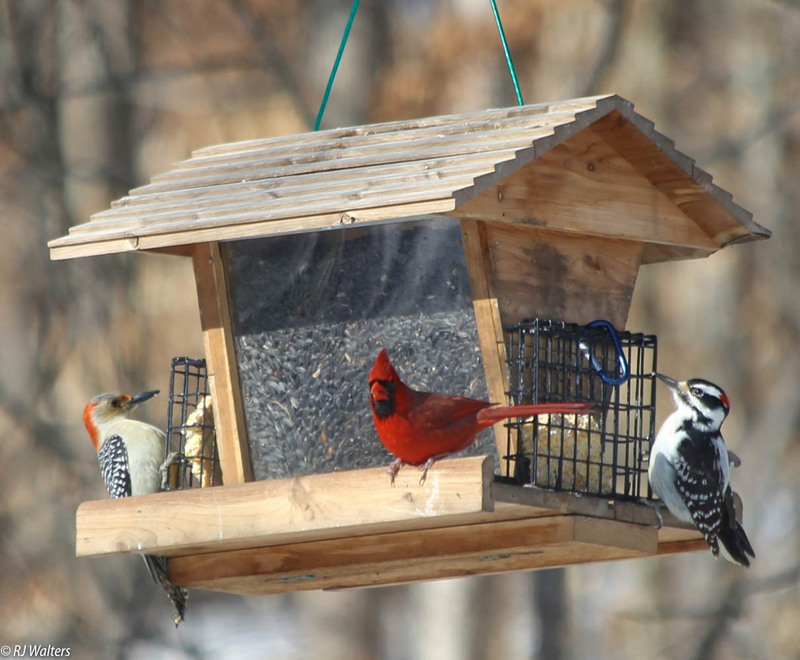 We put out a lot of suet in the winter months and the woodpeckers just love it. 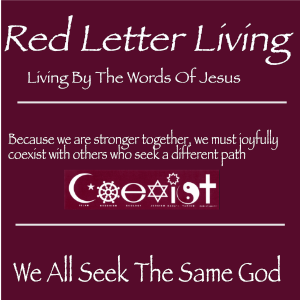 Sometimes creative pictures just present themselves to you. That is if you take the time to see them.. 🙂 This one came as a result of an ice storm last Spring. This is one of my favorite shots from the recent blizzard. 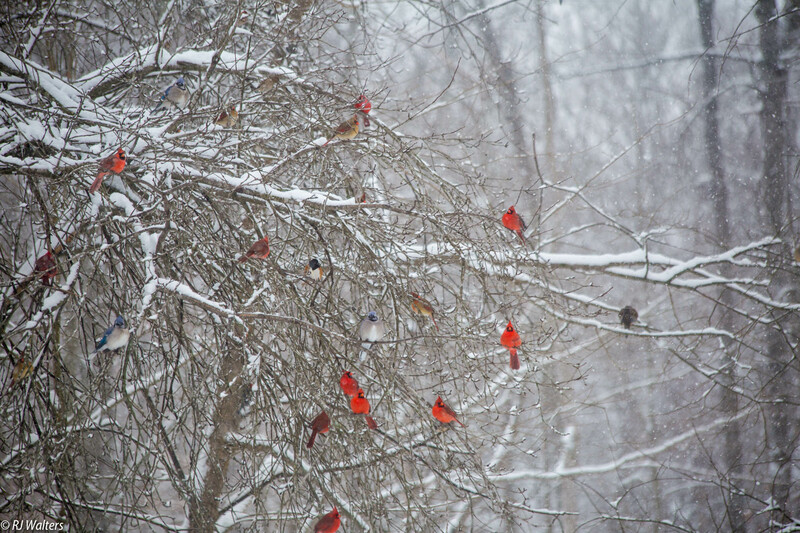 When snow covers the ground the cardinals and a few bluejays are frequent visitors to our old apple tree in the back. 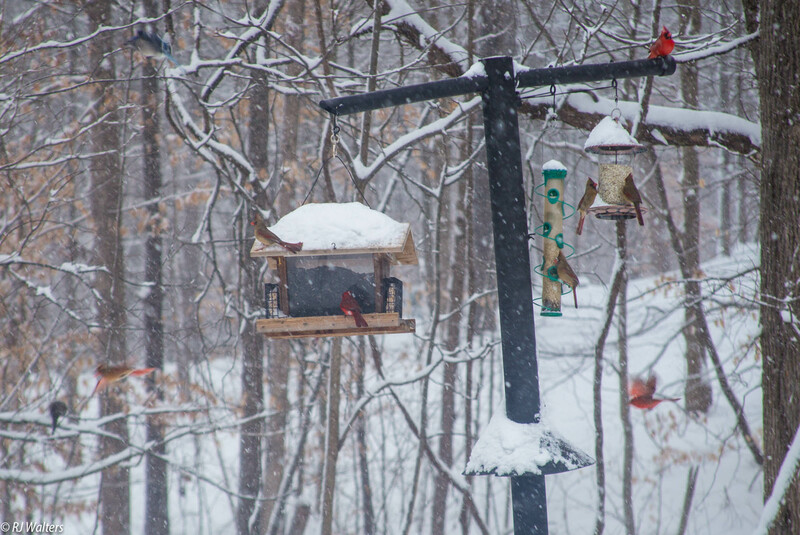 They await their turn at the winter bird feeder. 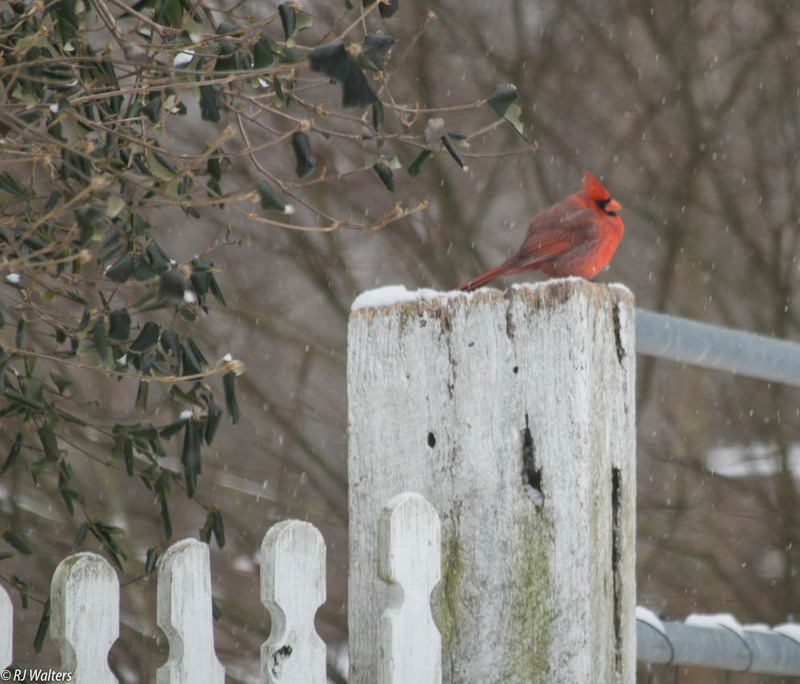 Here is another of my favorite Cardinal Winter pictures. 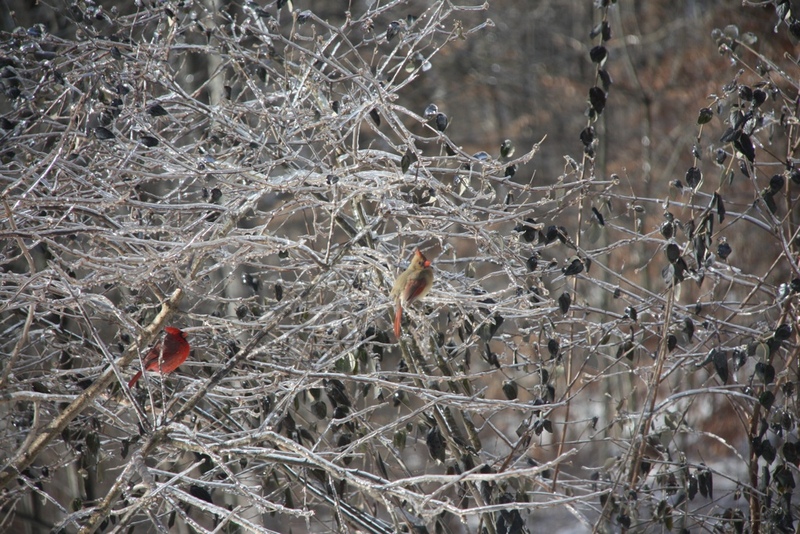 It was taken in early 2011 during an ice storm. I broke a rib falling on the ice later that day! !